The future was getting closer every day. 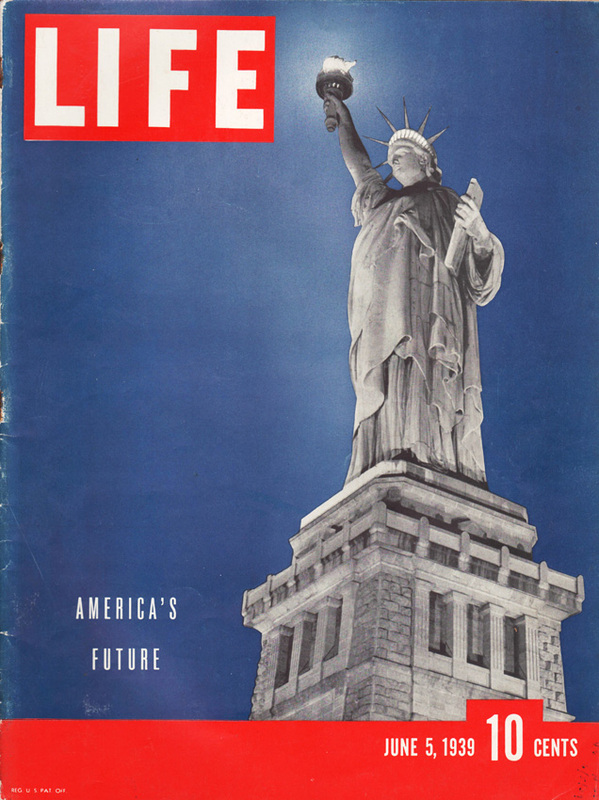 Like so many, my mother Betty had been captivated with the futuristic visions of the 1939 NY Worlds Fair which she had as yet only read about in the pages of Life Magazine. It had been barely 3 months since that hot Sunday in April when FDR gave the opening day address officially opening the 1939 NY Worlds Fair. But to an anxious 13-year-old girl who longed to see The World of Tomorrow, it seemed an eternity. Finally with the arrival of her July birthday, the long promised visit into the future had arrived. Because her family lived in Brooklyn, it was a hop, skip and a jump to the fair grounds in Queens. Descending into the steamy bowels of the NY subway system that July, transported her quickly to the World of Tomorrow that magical land of the future making her feel like Dorothy entering the land of Oz. 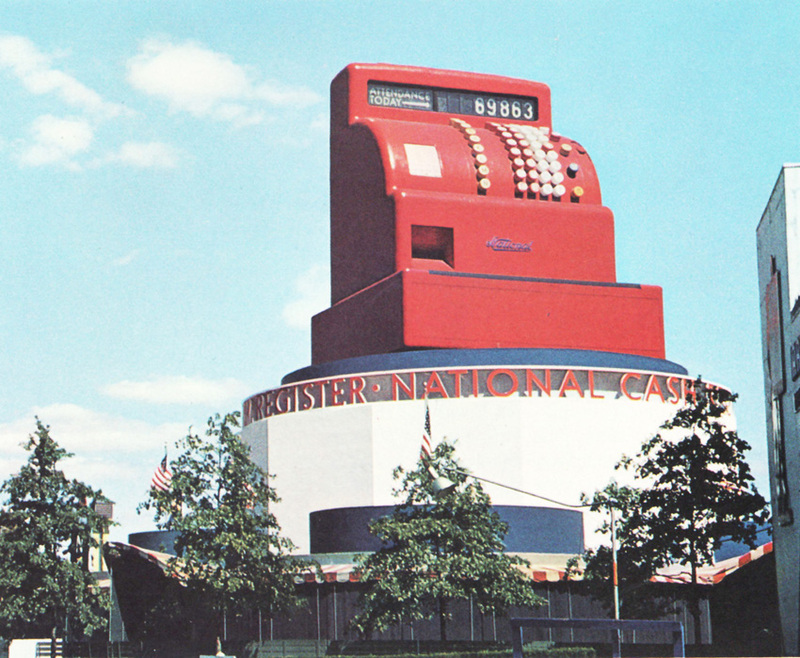 Exiting the train the first magical sight was the National Cash Register Exhibit shaped appropriately enough like a giant cash register. 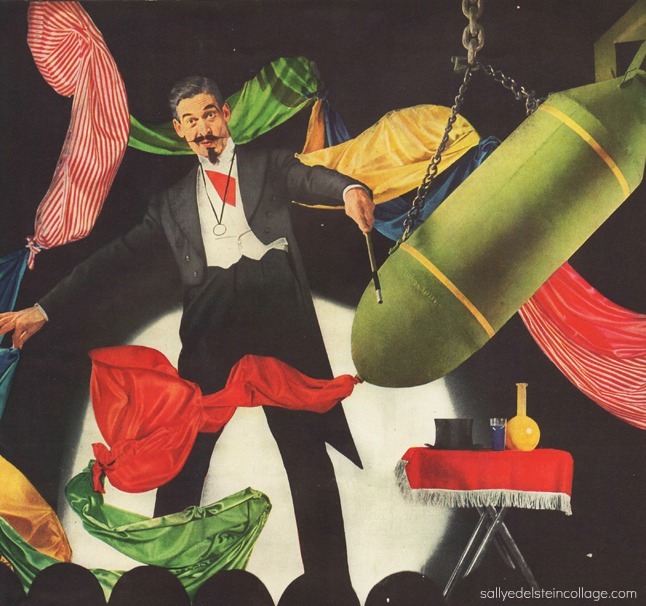 The Fair was one big showroom after another – a whirlwind, merry go-round of Corporations on parade with a roster of names straight out of Dow Jones. You could call your aunt in California courtesy of Bell Telephone, feast on pickles at Heinz, get a free shave at Remington Rand, ride a Ford on the Road to Tomorrow, and most miraculous of all watch Television at RCA. The wizards behind the curtain to this streamlined magic kingdom was a collection of smart, modern industrial designers, like Norman Bel Geddes and Raymond Loewy whose celebrity status bespoke of a society hungry for the new and improved. A world superior to anything ever seen. Inside the Persiphere, which along with the Tryon was the optimistic symbol of the Fair, was the theme exhibit of the Fair, Democracity, a diorama of the utopian city of the future. For an additional twenty five cents above the general admission price, Betty would be dazzled by a six-minute version of the Future. Entering the gleaming white gigantic globe, that measured an entire city block long, Betty felt as if she were in a dream. After riding silently on a glass enclosed moving escalator -the largest ever seen- she stepped onto a “magic carpet”, a circular moving platform for her journey into the future. Perched high on a slowly revolving balcony, the lights dimmed, the dome twinkled with stars, a thousand voice chorus resounded as if from the heavens, as if God himself spoke. The music reached a crescendo, announcing Democracity, a perfect model of a perfect world with pleasant suburbs for pleasant nuclear families with happiness in abundance. A place where you would own your own home, tend your own yard, where children could play on green lawns, ride their bicycles, play softball, all far from the bustling, business hub of the city. Projected on the massive dome were large images of workers and farmers marching, not in Teutonic lockstep but in good ol’ American unity. The music rose, then subsided and the marching men vanished behind drifting clouds. As she watched entranced, the narrators familiar voice explained how Democracity, epitomized “The American Way of Life” and included a future where ‘round the clock leisure and economic prosperity would result “for all who believe”. Who wouldn’t believe H.V. Kaltenborn ,the narrator, a highly respected radio commentator. His voice, ironically, would become even more familiar to my Mother with his nightly radio reports on the war. Suddenly a blinding bright blaze of brilliant polarized light lit up the dome climaxing the spectacular six-minute show, well worth the extra twenty five cents they charged for admission. A bewitched Betty would believe. In a Fair loaded with choices, the choices for the “typical American” was limited to one. Westinghouse introduced fair goers to a typical Mr. and Mrs. America- the fictitious Middleton family from “everywhere USA”. 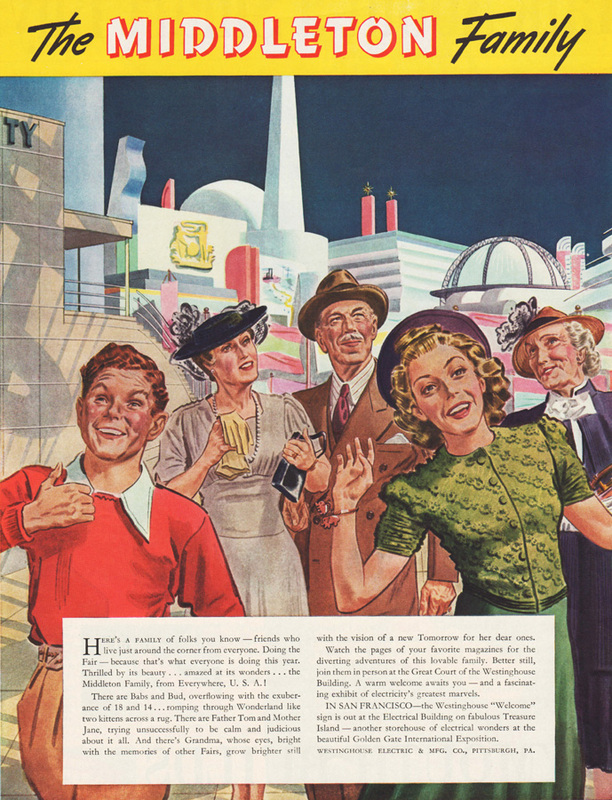 Starring in their own color film shown at the Westinghouse Pavilion, this average American family” were “visitors to the fair, just like you” who naturally were besotted with all its wonders, the perfect role models for the consumer culture. “There was Babs and Brad, overflowing with the exuberance of 18 and 14…romping through wonderland like 2 kittens across a rug.” explains the Westinghouse ad on the right. Like practical Mother Middleton, my grandmother Sadie was mesmerized at all the work saving, housekeeping miracles that promised a life of leisure. Our pride in our scientific prowess spilled over into m’ladys kitchen where once again man would triumph over nature in his march to progress-ahead lay a future of pre-sweetened reconstituted freeze-dried food. That afternoon, my Mother had stood in line uncomplainingly, for over two hours, to see the wildly popular General Motors “Futurama” exhibit. The exhibit was the talk of the fair and the anticipation was palpable. Here was a preview of tomorrow…a country at its freshest and finest; engineering at its most brilliant, and GM would provide the means to navigate this new world. Its main attraction was a large-scale diorama called “Highways and Horizons” with a simulated flight over the America of 1960, giving the audience a look at what life might be like in that year, filled with superhighways ,sprawling suburbs and naturally, thanks to General Motors, a boatload of speeding cars. Where but in America could you see a sight like this? the viewer wondered in awe. Cars by the thousands on the road…new sleek powerful machines, driven not by bankers but by average Americans! Distances dwindle at such a pace but you’d never know the engine was running. You’d never dread a hill or a bump again. Wide eyed, Betty emerged from the exhibit proudly displaying a button that said “I have seen the future.” From a 1939 perspective, it was a promised land. 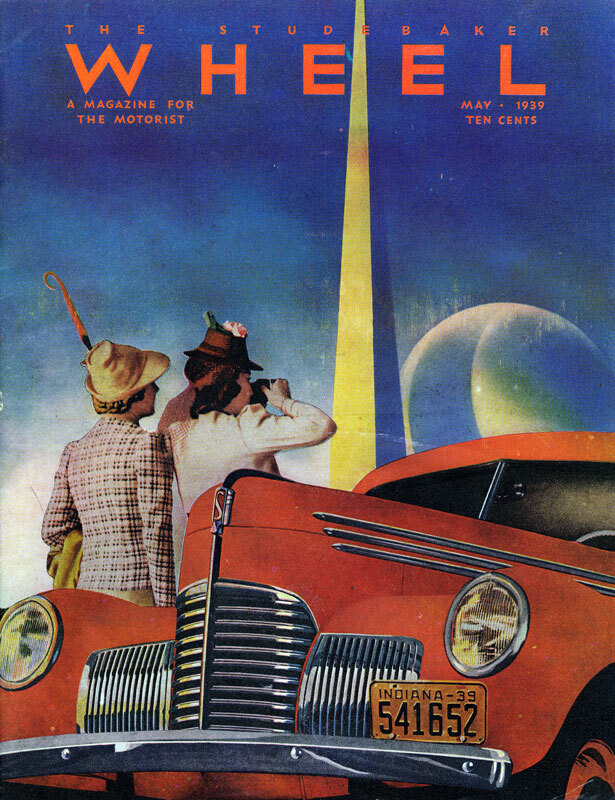 The future in 1960 seemed a brilliant glittering dream. Sitting by the magnificent Lagoon of Nations, that summer of 1939, surrounded by the buildings of exhibiting foreign countries, Betty could rest and reflect. Confident she was sure she had submitted the winning entry in a contest sponsored by the Fair in which the winner would win a trip abroad by writing 1,000 words on “Why I want to visit Poland”. However while the sounds of Chopin’s piano Concerto no. 1 in E minor played in her hopeful head, Adolph Hitler was racing down the Autobahn as nearly 2,000 Germans tanks were lining up on the Polish-German border ready to attack. Obviously Adolph Hitler had the winning entry. But at the fair it was one big happy family of nations, ignoring . all the signs that the dysfunctional family was headed for bitter divorce. The dramatic displays of fountain fireworks and colorful fire, flaring from gas jets which were staged every evening at the Lagoon, would be an eerie portent of things to come. I love this site! It’s like going back in time to my childhood. Thank you! This is a beautiful post in an eloquent blog. You really capture the spirit of the nation in its finest hours, with a realistic grain of salt. This entry on the ’39 World’s Fair adequately sums up what was possibly the most optimistic outlook the world had ever mustered. The VNV Nation song “Streamline” reminds me of this period. We were very hopeful in a time of thinly veiled darkness. What a bright future it was that science and technology could have brought, if only this attitude persisted . . . Thanks for your kind words Brent. So glad you enjoyed the post and it was evocative for you. In this age of deep cynicism the unbridled optimism that was so tangible at the fair is enviable. An obviously well-researched and nuanced piece of writing. Many striking and meticulous details. Your sense of irony and foreshadowing is pitch-perfect. Have you seen the 1984 documentary THE WORLD OF TOMORROW? In particular it makes the same observations about the rumblings of war. By the time the Czechoslovakia exhibit opened, there was no longer a Czechoslovakia, for example. I have long been a 1939-40 and 1964-65 World’s Fair buff, having had the opportunity to visit the NY fair in 1965. I have many pieces of memorabilia from both, including original postcards and guidebooks as well as some ceramic items and a child’s sailor’s cap from the 1939-40 fair. One tiny correction to your text: it’s Trylon, not Tryon. Bravo on a job well done. I eagerly look forward to additional posts and to poking around your existing site. 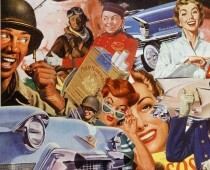 I love your blog; it literally takes me back to my childhood in the 1950s and 60s. For all its shortcomings it was (and is) an iconic time in my life and I still find solace in revisiting it from time to time. I’m glad you’re enjoying the blog Ray and thanks for stopping by. The 1950s and 60s were an eventful time to say the least, one that has been seared into the memories of those who spent their childhood there. 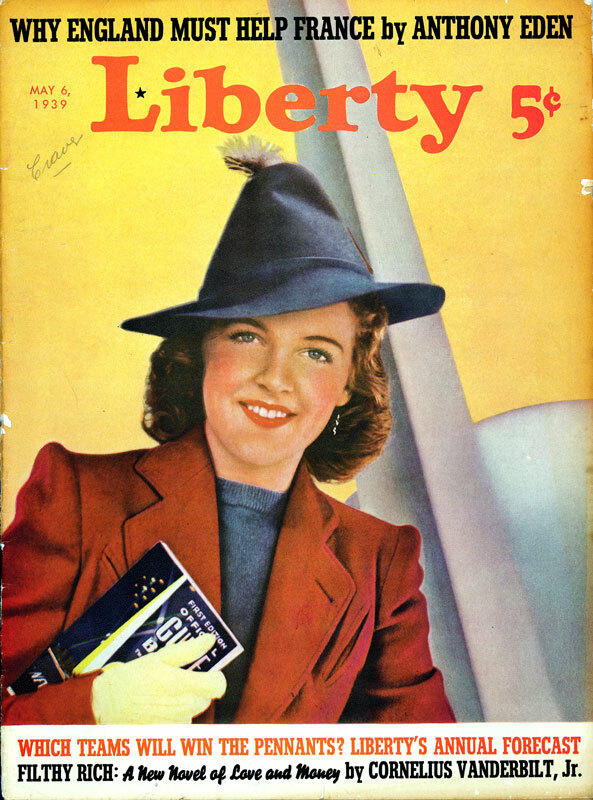 Wow, Imagine my surprise when I opened this blog to see my mother on the cover of Liberty Magazine, your first illustration! She had a career long before getting married, so my brothers and I did not see much of her time as an actress, model and early television talk show host. What a treat! I am so glad you stumbled onto my site. What an exciting suprise to recogonize your mother on the cover of the mgazine. Where eles did she appear?